The Barrington School District Board of Education this week reviewed the proposed calendar for the upcoming school year, heard about kindergarten registration and funds coming from the state, honored the Woodland School students of the month and more. Superintendent Anthony Arcodia offered three school calendar options to the board, but board members questioned the placement of parent-teacher conferences in January rather than November. Scheduling the meetings about halfway through the year would limit parents’ opportunities to discuss issues and correct problems, board members suggested. Arcodia noted the schedule was made after meetings with the teachers. He also explained that parents have the option of requesting a meeting with a teacher at any time for any reason. The board and Arcodia concluded it would be best to schedule the meetings in November, as had been done previously, and follow that up with possible mandated meetings for students performing below grade level — along with optional meetings for other parents — in January or February. One of the proposed calendars also included Columbus Day as a day off for students, in order to completely match the Barrington and Haddon Heights calendars, but the board spoke out against the idea, as it would push the last day of school even later into June. The proposed calendar — starting classes Sept. 4; ending June 18; with winter break from Dec. 23-Jan. 1 — will be discussed again at the next regular school board meeting. Arcodia reported to the board that only 40 students were registered for kindergarten during the recent in-person registration process, a number that is lower than usual. He said there was an estimate of 54, and he expected 10-15 more to sign up during the summer. A long-standing construction project reimbursement from the state appears to finally have closed, Business Administrator Samuel Dutkin told the board. With all the paperwork finally in order for the state, $15,000 from a drainage project finally will be delivered to the district. Dutkin noted this is not “new money” for further projects, but money to replenish funds used previously. Two additional past projects are “95 percent complete,” Dutkin also reported, meaning the state may soon deliver those funds amounting to about $500,000, allowing the district to close the books on them. 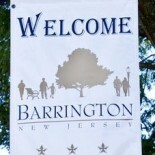 Several members of the audience questioned the district’s relationship with the Haddon Heights School District — particularly in terms of the more than $13,000 per student Barrington pays to the district while there is only space allotted for a Barrington school board member, along with one space for a Lawnside school board member. Arcodia noted the representation and the tuition bill are both issues that would need to be taken up with state legislators. School board member Robert Klopp also noted Barrington and Lawnside only have direct concerns about Haddon Heights High School issues, while the remaining Heights board members are overseeing hundreds of additional students in K-8, as well as 9-12. This entry was posted on March 13, 2013 by Barrington Bulletin in Region, Schools and tagged budget, calendar, enrollment, heights, high school.